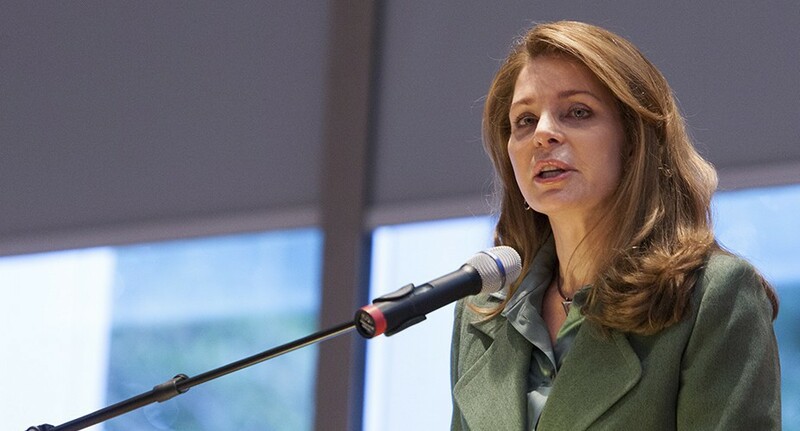 Effective tools have been developed to address the global missing persons crisis created by natural disasters, conflict and migration, Her Majesty Queen Noor of Jordan said on Monday during a presentation at the Blavatnik School of Government in Oxford. “The issue of the missing is no longer being tackled solely as a humanitarian issue and by humanitarian actors, but as a public law issue to be addressed by public institutions including domestic courts, prosecutors and law enforcement,” Queen Noor said. Describing the evolution of the International Commission on Missing Persons (ICMP), which emerged from the post-war recovery process in the Western Balkans 20 years ago, she said ICMP could serve as a model for creating “a light but efficient modern international organization”. Three senior representatives of the Kosovo Forensic Agency, Chief Executive Officer Blerim Olluri, Director of Serology and DNA Operations Sokol Dedaj, and Head of the DNA Laboratory Fatmir Ademi, visited ICMP’s facilities in Sarajevo today, where they were briefed by Head of the Western Balkans Program Matthew Holliday, and senior ICMP forensic sciences staff. Today’s visit is part of a four-day fact-finding trip to Bosnia and Herzegovina which has included visits to ICMP’s Identification Coordination Division and the Podrinje Identification Project, both in Tuzla, and ICMP’s laboratory in Banja Luka. In October, ICMP technical staff visited the KFA in Prishtina to assess ways in which ICMP can provide technical assistance to the KFA. The KFA is primarily a crime laboratory. It was established in 2003 and has received extensive support from the International Criminal Investigative Training Assistance Program.